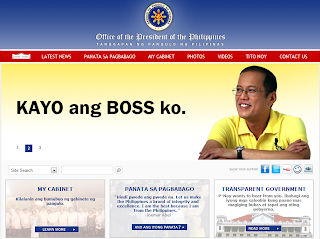 The president launch(should I say re-launch) a website (made using microsoft software-.asp, its better if they supported open source software instead) that aims to connect with the Filipinos specially the youth. There's a 3 page animated advertisement area where in the president is re-iterating his popular words used during the campaign and serves as the theme of his administration. There's a page dedicated to displaying Filipino's individual oath (Panata ng pagbabago) of their own way on contributing with the improvement of the country and a facebook-like wall post/feedback page where Filipino can write their hopes, requests, suggestions and comments for the president and the government. 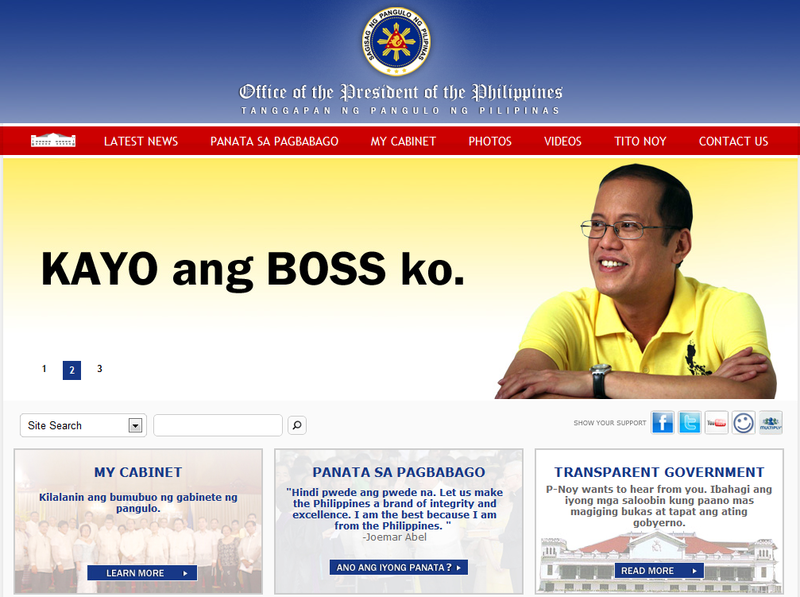 There is also a page called "Tito Noy" , which encourages even the young (by age or by heart :P) to contribute to the change in their own ways. As future leaders of our nation, clearly, PNoy wants the Filipino children to be involved already with the government or politics.